From Rte. US-22, take PA-53 North towards Cresson. Turn left onto Admiral Peary Hwy, and then left into the Mount Aloysius college. 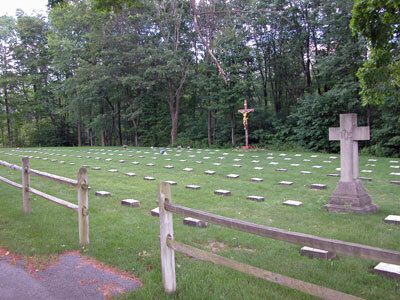 The cemetery is located behind the college.